Viacom announced it agreed to acquire Pluto TV, the leading free streaming television service in the U.S.
NEW YORK--(BUSINESS WIRE)--Viacom Inc. (NASDAQ: VIAB, VIA) today announced that it has entered into a definitive agreement to acquire Pluto TV, the leading free streaming television service in U.S., for $340 million in cash. Founded in 2013, Pluto TV streams more than 100 channels and thousands of hours of on-demand content spanning television and movies, sports, news, lifestyle, comedy, cartoons, gaming and trending digital series. The ad-supported, internet-based TV service features world-class programming sourced from over 130 partnerships with media networks, major film and television studios and a wide range of digital content producers. Today, Pluto TV has more than 12 million monthly active users, 7.5 million of which are on connected TVs. Its audience streams billions of minutes of content each month across devices such as Roku, Amazon Fire TV, Android TV, Apple TV, Chromecast, and Sony PlayStation consoles, as well as built-in integrations on smart TVs from Samsung and Vizio, and mobile apps on Android and iOS. 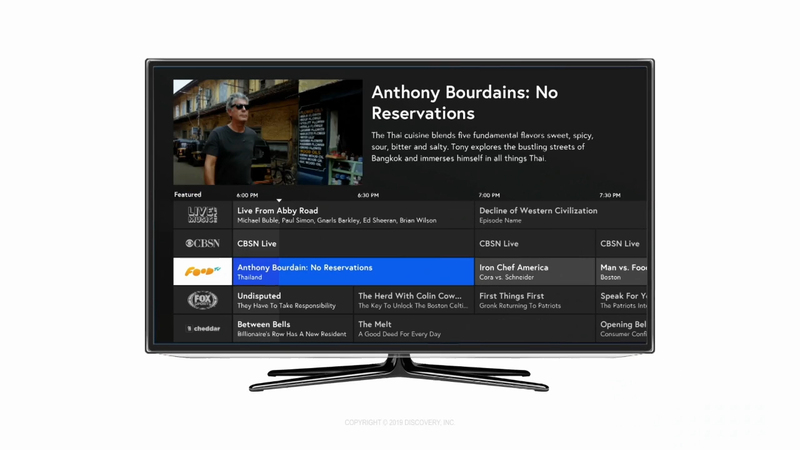 Pluto TV has also secured new distribution deals that will make the service available on tens of millions of additional devices in the coming months. Viacom’s global footprint, portfolio of entertainment brands, deep content library and additional marketing resources will further enrich Pluto TV’s product and consumer experience and provide a clear roadmap for international expansion. Mr. Ryan will continue to serve as CEO of Pluto TV, which will operate as an independent subsidiary of Viacom upon closing of the transaction. The transaction is expected to close in the first quarter of 2019 and is subject to customary closing conditions and regulatory approval. Paul Hastings, Covington & Burling and Shearman & Sterling served as legal counsel to Viacom. Gunderson Dettmer and Hogan Lovells served as legal counsel to Pluto TV, and LionTree Advisors served as financial advisor to Pluto TV. Viacom creates entertainment experiences that drive conversation and culture around the world. Through television, film, digital media, live events, merchandise and solutions, our brands connect with diverse, young and young at heart audiences in more than 180 countries. For more information on Viacom and its businesses, visit www.viacom.com. Keep up with Viacom news by following us on Twitter (twitter.com/viacom), Facebook (facebook.com/viacom) and LinkedIn (linkedin.com/company/viacom). Pluto TV is the leading free streaming television service in America, delivering 100+ live and original channels and thousands of on-demand movies in partnership with major TV networks, movie studios, publishers, and digital media companies. Pluto TV is available on all mobile, web and connected TV streaming devices and millions of viewers tune in each month to watch premium news, TV shows, movies, sports, lifestyle, and trending digital series. Headquartered in Los Angeles, Pluto TV has offices in New York, Silicon Valley, Chicago and Berlin.